Peter’s Coffee Company is dedicated to roasting only the finest select beans from world-renowned sources and offering original and signature blends for our customers to enjoy. Under the direction of Finnish Master Roaster, Peter Weckström, our careful selection of beans and our signature roasting process, we are able to produce some of the finest, tastiest coffees in the world. Located in Bangkok, Thailand, our unique roasting process uses only first grade coffee beans from just 10% of the world´s entire Arabica coffee crop and are roasted fresh each day to meet our customers’ needs, and often exceeding their expectations. Buying groceries, electronics, clothing, appliances—virtually everything online—has become the norm in today’s connected world. So, why should your favorite high-quality coffee products be an exception? Ordering coffee online from an expert purveyor like Peter’s Coffee has many advantages, cost savings and guarantees you just won’t get purchasing big-brand, store bought coffee at retailers. Peter’s Coffee is an independently owned-and-operated coffee roasting company that selects, roasts, blends, packages and sells its own products. 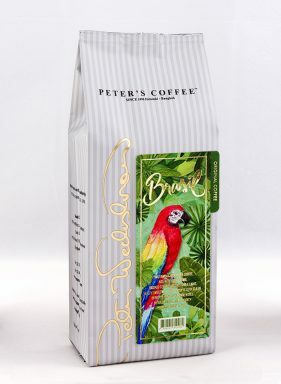 Peter’s Coffee uses only the finest sourced beans from around the globe and roasts small batches through an innovative, proprietary roasting process developed by Peter himself, a veteran master roaster. 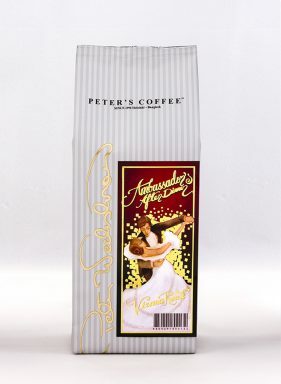 You can be rest assured that, no matter what your tastes are, Peter’s coffees are the finest gourmet coffees available and always fresh to order. Let’s face it. Ordering online is simply more convenient than driving or walking to a store, looking for what you need, waiting in the checkout line, and then making your way back home with your purchases. Whether it’s Amazon, your favorite supermarket for your weekly groceries, or purchasing high-quality coffee, being able to access what you need from the comfort of your own home, or from anywhere with your smart phone, just makes getting what you need easier. 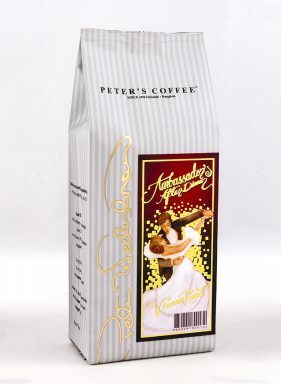 When you buy coffee online from Peter’s, not only are you guaranteed a much better quality and taste than any coffee product you will find at retailers, you can be assured the most competitive prices—sometimes much lower than big name brands that inflate their product prices due to massive overhead, transportation costs and marketing. Plus, the quality assurance and consistency that goes into every small batch of Peter’s coffee removes any element of risk or buyer’s remorse from buying coffee online. 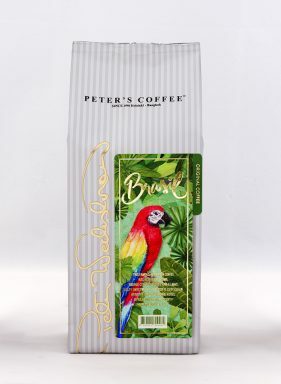 Another convenient aspect of ordering Peter’s coffee online is the ability it gives you to compare the wide assortment of fresh roasts and blends available. Whatever your coffee preferences are: dark, medium, light, spicy, mellow, etc., Peter’s Coffee has something to suit everyone’s taste. And because you can order as little or as much as you want, you can pinpoint the exact products that fit your particular desire. Finally, Peter’s offers uniquely designed selections you just won’t find in major retailers. Through the efforts of over 20 years of buying, tasting, blending and roasting coffee beans from around the world, Peter is able to offer a wider and more specific selection of coffee you won’t find anywhere else—especially at supermarkets where you have no way of knowing when the products were roasted, packaged and how long they’ve sat on shelves before delivering to the stores. 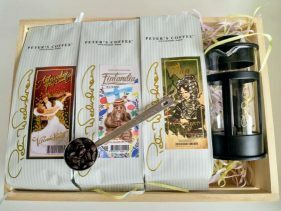 With Peter’s Coffee, you’ll never have to worry about freshness, quality or improperly roasted beans. Copyright © 2018 Peter's Coffee Company - All Rights Reserved.